Today's worth pick for Man Candy Monday is Will Estes. He may not be one of the most popular actors, and you may have no clue who he is, but he caught my eye years ago on the TV series Kirk (remember that show? With Kirk Cameron?). If you do recognize him, it's probably due to his current role as a New York cop in Blue Bloods. Unknown, but it is said he lives in LA with his two rescue dogs. -Maintained an A average in high school. Was in Bon Jovi's music video "It's My Life"
So what do you think? He may not be super, drool-worthy hot but he is certainly attractive. Even more so on screen. I'm a fan! Who are you crushing over this week? Link up and play along. It's easy. 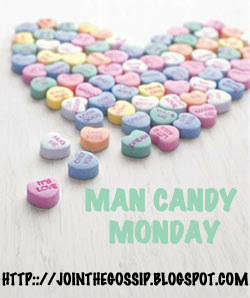 Write a Man Candy post, grab my button, and link up. 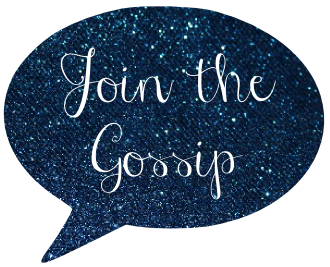 This blog hop is a great way to make new friends! Hmmmm....not so sure about this one. ;) It would probably help if I was familiar with some of his shows, though. Ha. I knew I knew him from somewhere! And then I saw that he was in "American Dreams", which I enjoyed a lot! He's a looker for sure! I remember him from 7th Heaven... Yep, I'm pretty cool. I don't remember him, but am thinking he looks like a church guy...then see Josie said he was on 7th Heaven and try not to pass out laughing. Hahaha!! Haa we have such similar tastes with guys. I had a massive crush on him from Alex Mack. I used to love that show. I think he's adorable! I'd be his friend. I loved him on Alex Mack too. yum, he's so adorable and vaguely remember him from back in the day. i love all the men you highlight! Good choice! I kinda forgot about him. I loved him in American Dreams. And I didn't know he was on Alex Mack. Hilarious! I don't think i've seen him before. He is definitely some eye candy! He's cute! I loved him on American Dreams! He is so cute! I can't believe I've never seen/heard of him before (though I obviously wouldn't recognize him from Secret World of Alex Mack, since he was probably a fetus/unrecognizable on that show!). Ohhhh yes!!! Always liked him A LOT!!! He is a cutie pie!! he's cute. looks familiar but i'm not sure why. i don't watch blue bloods. I recognize him from the show Reunion that used to be on Fox. It was cancelled well before its time and I still get a little mad not knowing the answer to the mystery. I wonder if he's related to Rob Estes? Rob is Hot hot hot! I think he'll be my next Monday Choice. He's adorable. I haven't seen/heard anyone mention The Secret World of Alex Mack in ages! Agree... he is a man candy. and I love that show. maybe from my days of being a NKOTB fan. LOVE HIM! He brings back my childhood, I'm not sure if I recognize him from 7th heaven or Alex Mack...both are possible. But he is definitely a stud!